Ask The Guides: What's the Perfect Hunting Cartridge? One of the most popular discussions around any hunting camp is which cartridge is the best for a particular type of hunt. The decision can be difficult with so many factory cartridges on the market today. Typically, there are several good options for each type of animal. Guides and professional hunters see a lot of different rifles chambered for different calibers, so they generally have a wealth of information regarding a particular cartridge's effectiveness on game. For this piece, I polled several of the top guides and PHs around the world to determine which cartridge — if they could only choose one — they would recommend for their clients to hunt one animal in one area. 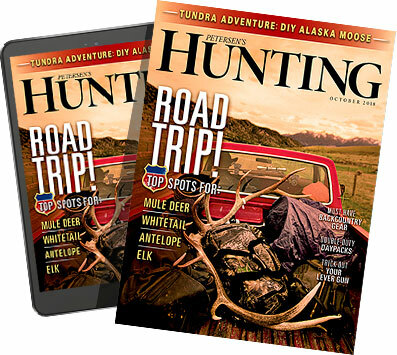 I asked each professional to recommend their favorite cartridge based on their own hunting area, which varies from the flat, open country of New Mexico to the peaks of the Alaskan Range and the muddy banks of the Lower Zambeze River. Based on their past experiences, here's what each hunting professional recommended to their clients for the perfect hunting cartridge.